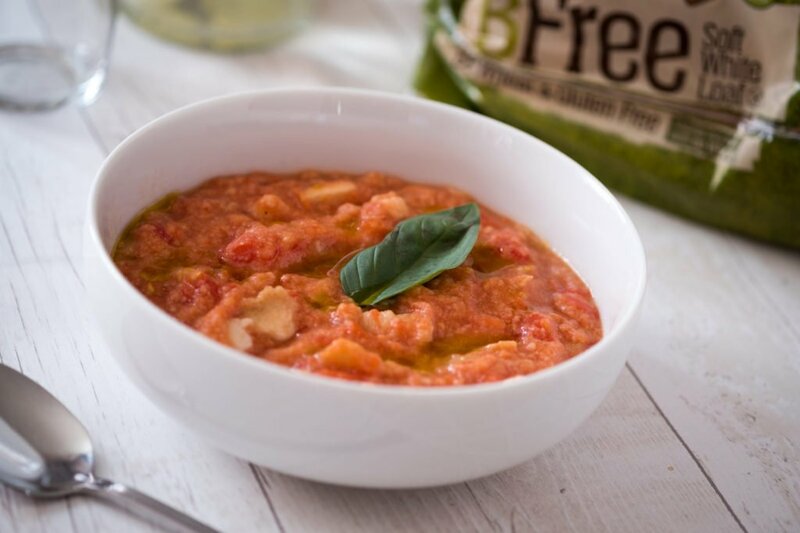 “The pappa al pomodoro” is a classic and traditional Italian recipe, specifically from Tuscany that as such, it is susceptible to a lot of changes not only according to the area where it is made but also, and above all, on the basis of who prepares it. Like all classic and traditional Italian recipes, the origin can be uncertain and the realization is variable so each family claims to have the recipe par excellence. 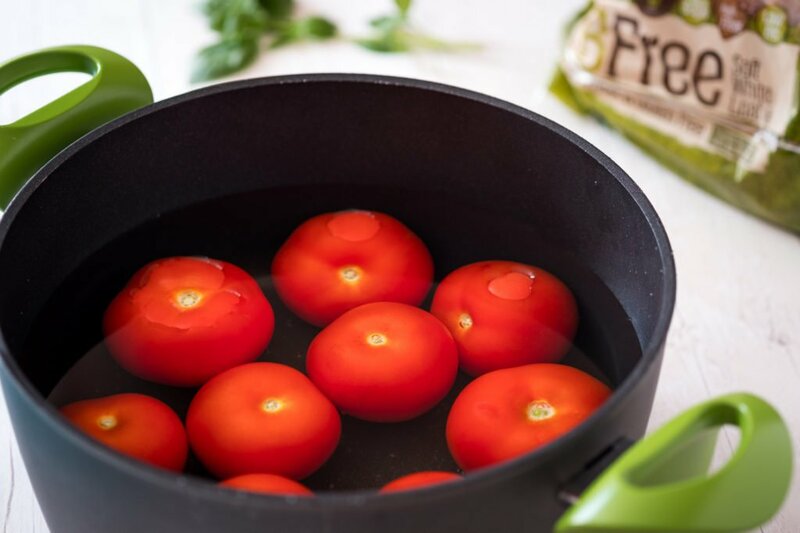 The pappa can can be prepared all year long, but it is in the summer that it does best because the main ingredient is tomatoes, so in the summer you can use seasonal, red and juicy ones. 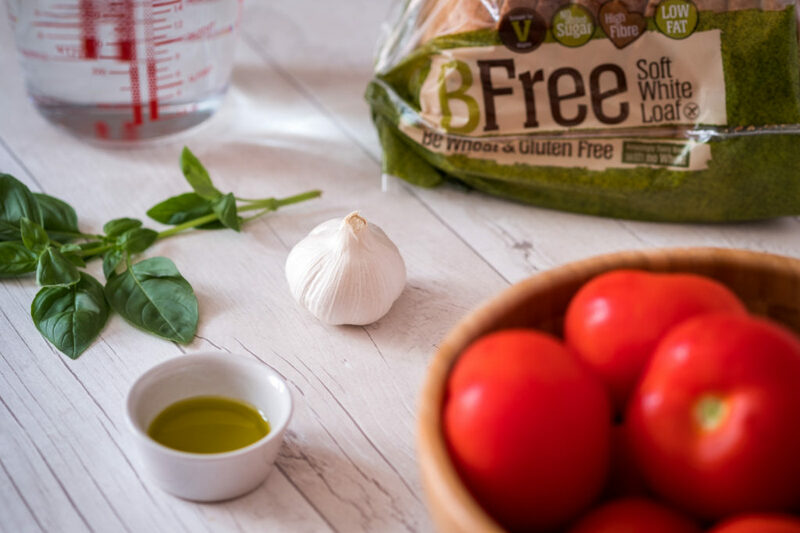 In this case, I have adapted the classic tomato and bread soup in a gluten-free version using BFree’s Bread; obviously, if you are not in Ireland but you want to follow this recipe, you can replace the bread I’ve used, using the traditional stale Italian bread. If you’re not on a gluten free diet, just use normal bread. 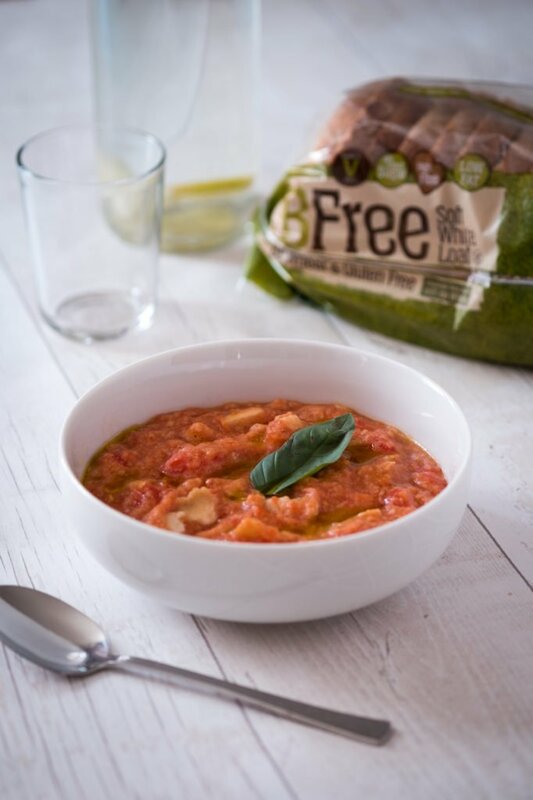 To make the pappa al pomodoro, follow the recipe below and read all my tips on how to make a perfectly balanced Italian Tomato and Bread Soup. Carve tomatoes, boil them in boiling water then peel them, remove the seeds, cut into pieces and add to the bread. Season with extra virgin olive oil and add some fresh basil leaves before serving. 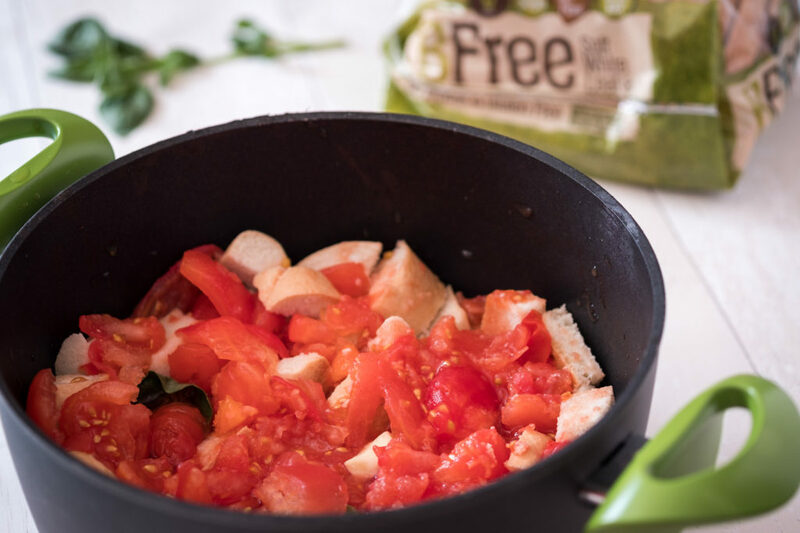 Do not add any other spice: just fresh basil, nothing else. Do not sautee the vegetables, use only raw vegetables so that the properties of the individual ingredients will be maximized.